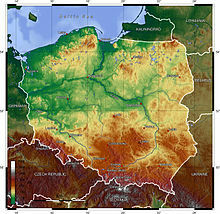 Poland ((pl. : Polska) tiguaqtuq nunauruat. Iñiqsiruq 966 (1918), 38,437,000 iñuq (2016). Warszawa (en. Warsaw) iñuguqtuq Poland. This page was last edited on 19 Uvluiḷaq 2017, at 12:48.